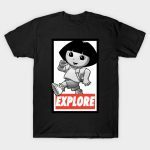 Dora, portrayed by Isabela Moner, is the main character in the Dora the Explorer movie: Dora and The Lost City of Gold. She's a teenage explorer who leads her friends on an adventure to save her parents and solve the mystery behind a lost city of gold. 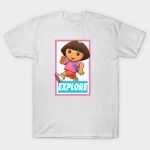 The shirt that Isabela Moren wears in Dora and the Lost City of Gold, as Dora is a pink short-sleeved henley shirt. This one is almost an exact match. 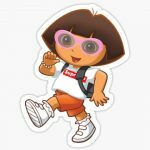 The shorts that Isabela Moren wears in Dora and the Lost City of Gold, as Dora are orange cargo shorts. The Dear John shorts are the closest match we could find but can get a little expensive, if you're on a budget we recommend those Columbia shorts. 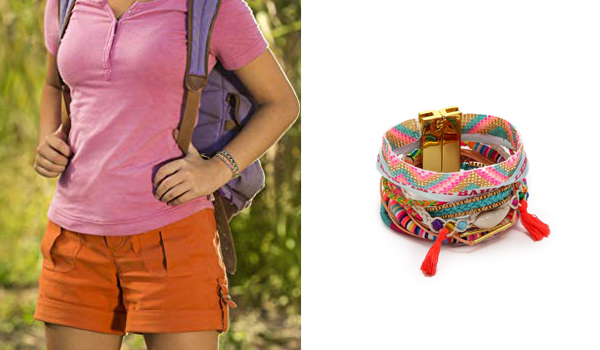 The jewelry that Isabela Moren wears in Dora and the Lost City of Gold, as Dora is a multi strand bracelet with braided fabric. 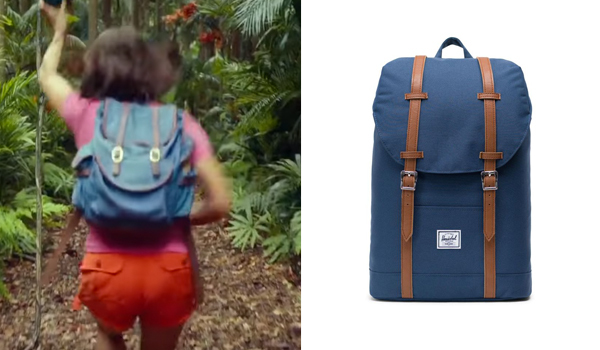 The backpack that Isabela Moren wears in Dora and the Lost City of Gold, as Dora is a blue canvas backpack with vertical leather straps. We weren't able to identify the exact model but the Herschel Retreat Backpack is a pretty close match. 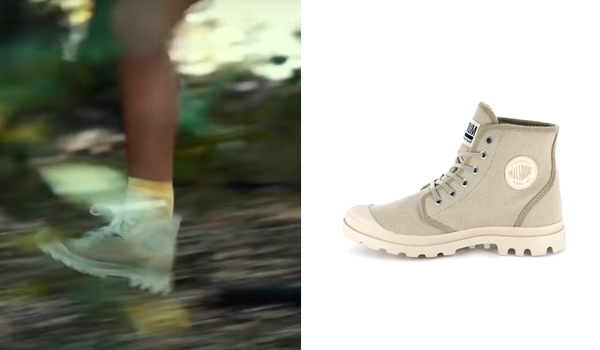 The boots that Isabela Moren wears in Dora and the Lost City of Gold, in the jungle as Dora are white boots with a chunky sole. They are Palladium Pampa Hi Original chucka boots with white laces. She also wears a pair of yellow socks with them, if you don't have any we recommend the Zakira socks which are perfect length and color wise. 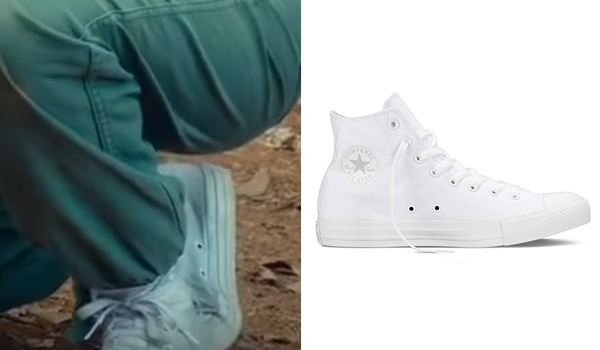 The shoes that Isabela Moren wears in Dora and the Lost City of Gold, as Dora are all white high top shoes with two holes in the canvas for breathability and a band across the outer sole. They are Converse Chuck Taylor All Star.